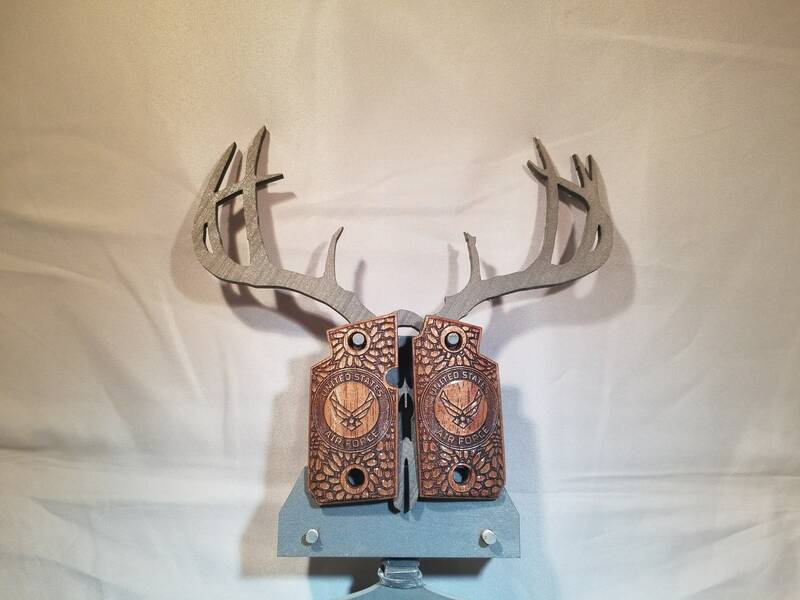 This is an AMAZING set of SIG SAUER P938 grips. 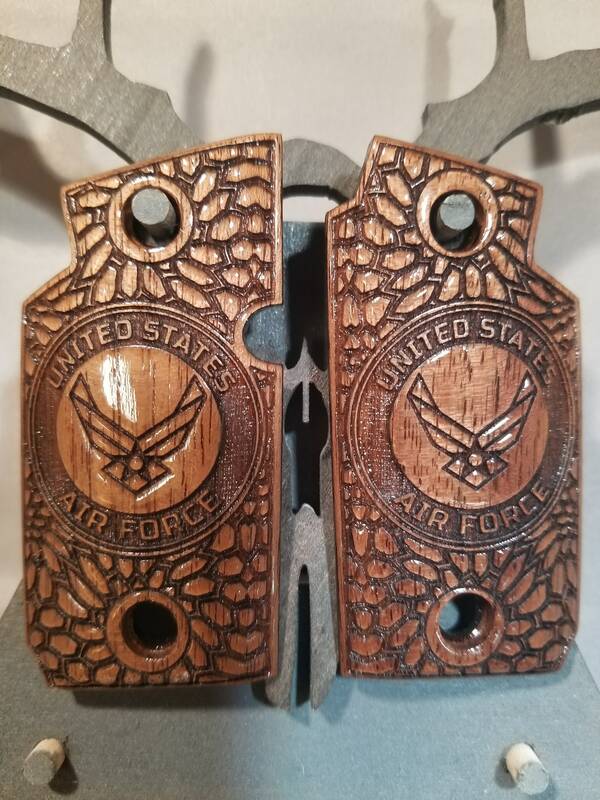 They are made from WALNUT, and engraved, as shown in the picture, with the US Air Force logo centered, and stylized KRYPTEK patterning throughout.. They have been test fit although, due to some firearm manufacture differences, a small amount of end-user fitting may be required. 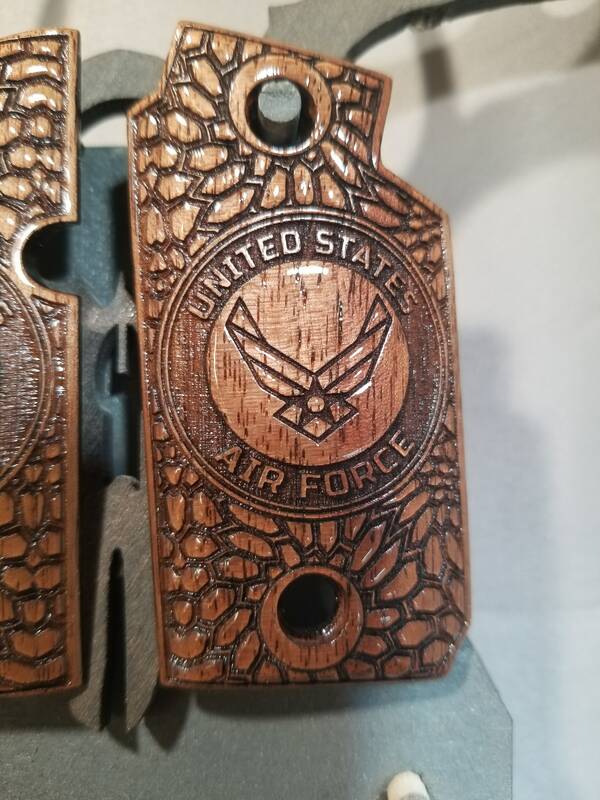 They can also be customized, so if you want to add something (Name, initials, unit, date, quote) just ask. 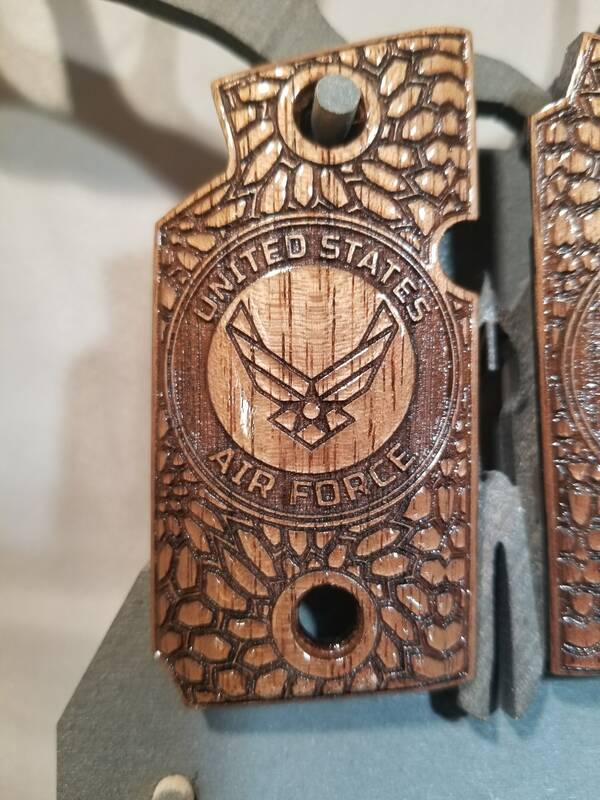 Also, if you want them in a different combination, wood, stained, finish, or for a different firearm, or whatever you'd like, all you have to do is ask, and I can work with you to come up with a custom listing! 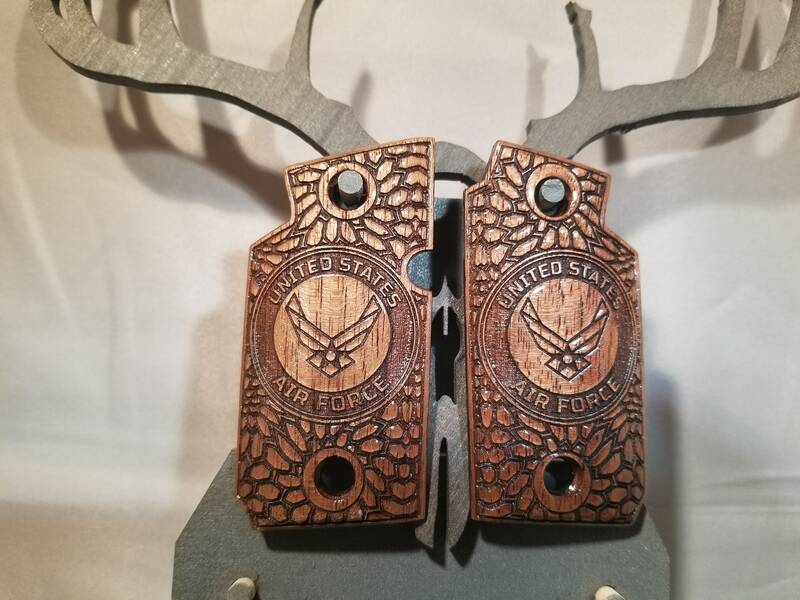 Also, if you see something on another listing or want a design from one of my other listings for your SIG SAUER P938, let me know and I can probably do that for you!